The Underworld star Theo James was actually born Theodore Peter James Kinnaird Taptiklis in Oxford, England in December of 1984. James Franco, born James Edward Franco, was born in Palo Alto, California in 1978. 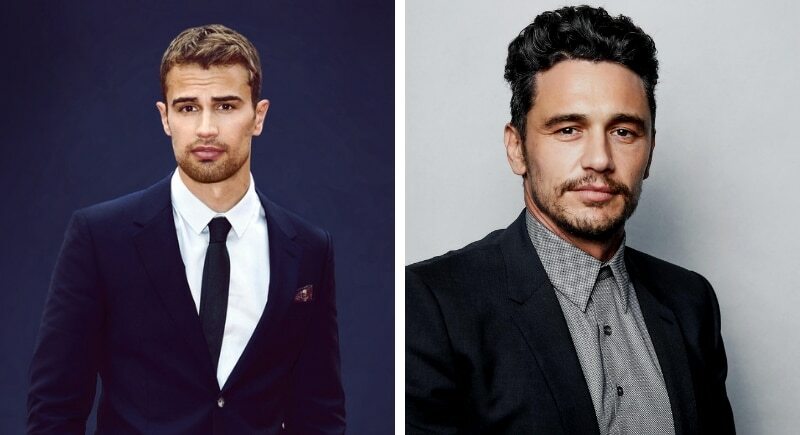 Theo James’ family has a Greek, English and Scottish background, and Franco’s has Portuguese, Sweedish and Russian Jewish. We’re scratching our heads trying to find the answer to why these two guys look so similar, but until we find it we’ll just enjoy the sight! Chloe Moretz and Abigal Breslin both got their start in Hollywood at an early age. In fact, Abigail Breslin landed her first commercial at the age of three, and Chloe Moretz was in her first film at age six. Moretz and Breslin are just one year apart in age, and though they both already boast impressive resumes, we can’t wait to see what these talented and smart ladies will bring to the world next.